The weather is beautiful here and I should be working in the garden. But I've wanted to make springerle cookies for weeks. And today is the day! 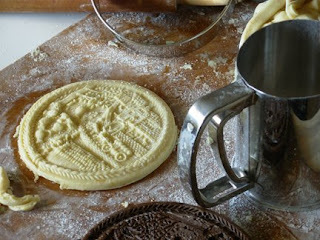 I have several cookie molds purchased from House on the Hill. Well, really more than several ....but we won't talk about that right now. 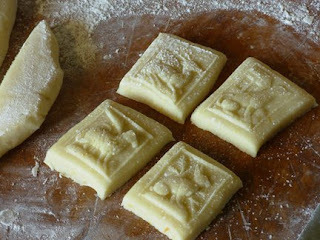 These cake like cookies date back to the 1600's and are still made in the Alsace area of France. They are dense with wonderful anise and orange flavors. I purchased molds, anise oil and the baker's ammonia from House on the Hill. The recipe comes with the molds and is really tasty. Thought you might like to see how they are done. Mine are baking right now and the aroma in the kitchen is delicious. If you decide to purchase one mold....I would go for the largest you can afford. One large cookie fits into a cellophane bag and when the bag is tied closed with a bit of ribbon you have a fabulous gift. They are drama queens! 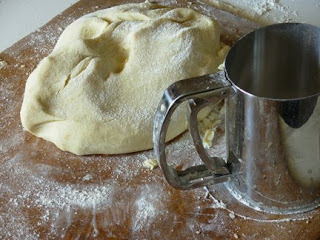 Flour is added to the recipe until the dough is stiff. You want a good print without the dough sticking to the mold. I did have a bit of a problem with this until I added more flour. I purchased the 6" ring so I could cut out the large circular cookie. 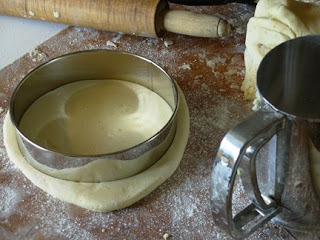 I made a mistake and cut out the circle and then pressed the mold into the dough. 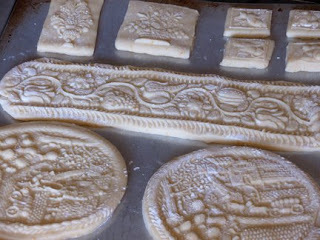 It works better if you press the mold into the dough and then cut it out with the cutter. This is my large circular cookie after the mold was pressed into the dough. I needed to use a bit more flour on my bread board. It took a couple of spatulas to get the cookie to the baking sheet. This roller makes a long ribbon cookie. The cookie can be cut into pieces or left long. I've made this one at Christmas also and used gingerbread. Really a sweet look. The baking sheet is loaded and ready to go. I let them dry out on the cookie sheet for several hours. It helps them retain their imprint. I bake them at about 275 degrees for 20 minutes. If they begin to puff up lower the temperature. These cookies are great with coffee or hot tea. They can be kept for several months and actually improve with age. Now.....I have to go and plant about 15 raspberry bushes. Happy Easter and Passover. Blessings to you all! Alma, you are truly a gem! About two weeks ago my sister, Tammy and I (who see you at the SB Retreat) were talking about what a classy and gracious lady you are-and now we get to read your awesome blog! We love your posts. Wishing you and yours Easter Blessings. Thank you for sharing also this , you're so clever in cooking too. Oh how cool! They are beautiful........Enjoy! You are doing a great job blogging.....I get excited when I see a new post from you......You've created a monster,lol! Oh my goodness Alma ... do you every sleep? Love every minute of your blog. Have a wonderful SPRING!! My mouth is watering! These look delightful!! Oh my Alma...the cult of beauty! Someone in my quilt group hands out a bag of these cookies to us every Christmas. I could look at them forever; they are almost too pretty to eat. Thanks for sharing your baking tips. If I send you my address will you send me a few cookies???? oh my goodness I just love these cookies so pretty to look at and I can only imagine how good they must taste! Just posted a picture of my latest trick or treat baskets, my version ! Those cookies look wonderful. I've always wanted to try these but I was afraid my kids would be put off by the anise flavor. Think I'm going to have to try them because you've made them look so good. I'll have to check out your link for the molds. Aaah - the drying out time is a great tip! Thanks so much! hey girlie whirlie!! Just saw you have a BLOG!!! this is awesome.. come visit me! What pretty cookies. Love those molds. Happy Easter to you too. What gorgeous looking cookies! I might have to try my hand at those. Thanks so much for sharing, they are drama queens, indeed! 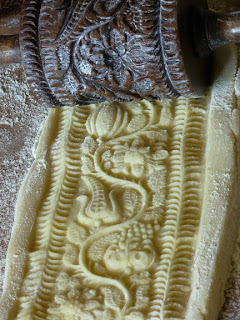 I have been eyeing the hornbook mold for awhile now. Great idea about making them for gifts! Thanks for the tips, too. Those cookies look so yummy! The moulds are simply beautiful, I love the rolling one. I hope you had a Happy Easter. Springerle are made since the Middle Age, perhaps even sooner, in Southern Germany, part of Austria, Switzerland and Hungary.Later in Eastern France. I make them with a roller of 10 different designs which is in the family since the middle of 19th century. Just a tip: after baking,put them in a tin box with 1 apple cut into halves, Wait at least 2 weeks and the cookies will be a delight. They aren't no longer hard. Thank you for the information!!! Your cookie roller is a real treasure....you are one lucky gal. Love the tip too. I will try it. Fantastic cookies. We have similar molds in some russian museums. My mother is from Alsace and when I was a child, around Christmas, she used to get up earlier and prepare trays and trays of Springerle. With or without the mold print (they taste just as good without). And she would not use anise oil, but the seeds. She would then pack them in tin boxes and ship them to the relatives, give them as Xmas presents to our teachers. 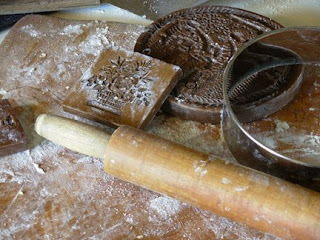 I have a few cookie molds which I bought in La Petite France, in Strasbourg. They hang on my kitchen wall. My children don't mind my Springerle not having any printed designs : they wolf them down without looking at them ! Oh Lord! !, I just love those molds. If this doesn't change I'd have to sell my computer to avoid the temptation of visiting blogs and web pages. 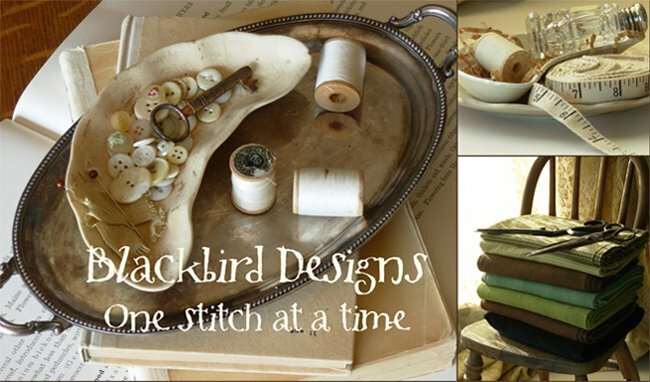 I mainly cross-stitched but then I discovered blogs and I began to visit them. Well, after some time I felt the need to learn patchwork (I have started taking lessons this month), I discovered cartonnage as well, I love decoupage and scrapbooking and sooner or later I'll try and know I'm discovering cookies' molds. My life was hapy without those molds but now I'm beginning to wonder how I have been able to live without them. Ok, just four months until my birthday, I'll try to be patient. I know I just finished one more batch, but seeing your delicious springerle photos makes me want to start another batch of them. Since it is 10:14 p.m. I will stitch a while and maybe just eat one. I don't have much self-control with cookies, so it is doubtful any of mine will ever sit for the usual six weeks. :-) Thanks again for the beautiful pictures.